Kevin Hillstrom: MineThatData: Catalogers No Longer Compete Against Each Other - So I Introduce To You ... PAPER TUESDAY!! Catalogers No Longer Compete Against Each Other - So I Introduce To You ... PAPER TUESDAY!! July 28 was a popular in-home date. Catalogers no longer compete against each other. Catalogers are a loose federation of common brands with a shared ethos. Just look at the covers. Dots. Discounts. Savings. Freebies. And all arriving in-home on the same day. 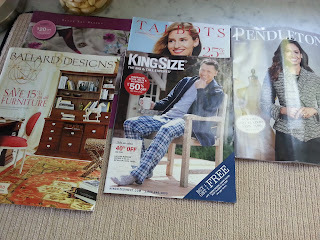 Heck - look at the Talbots & Pendleton cover models - similar hair, both smiling. Same customer list (Abacus and others and/or Private Equity shared databases). Same set of a dozen +/- consultants who make key decisions. Same industry conference with similar sessions paid for by the same housefile modeling vendors and co-ops that everybody uses. Same Executives who have worked at every-other company, moving every-three-years to better opportunities. Same 2-3 trade journals that have covered the industry for three decades. This isn't good. This isn't bad. This just "is". And since it "is" what it is, we may as well recognize it and then capitalize upon it. If Amazon can create a fake holiday and generate Christmas-level business in July, and if Shop.org can astroturf Cyber Monday into a commerce holiday for online businesses, then why can't we work together to create PAPER TUESDAY? I'll set the date ... NOVEMBER 10 IS PAPER TUESDAY ... the second Tuesday in November from this day forward will be known as PAPER TUESDAY. PAPER TUESDAY will be the day that all catalogers work together, a day when all catalog vendors work together, pitching-in to drive sales and profit for CATALOGERS. Best of all, since all catalogers are essentially in the same family, supporting each other, each catalog brand will cross-promote the new holiday, driving business for each other. Your co-op will make sure to give you the best deals possible for names likely to buy on Paper Tuesday. 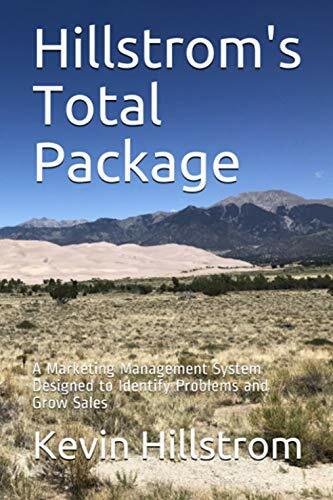 Your database vendor (or co-op) will significantly discount matching of names across companies, identifying and segmenting customers that buy from 20+ catalogers a year, so that you know who the customers are that are most likely to fully embrace Paper Tuesday. Your favorite trade journals will actually support the holiday and will rally the troops via outstanding communications that you will want to read, causing readership to go up, causing more vendors to want to pay trade journalists, making trade journalists money. Your paper rep will heavily discount Paper Tuesday catalogs, so that you can send many more catalogs and therefore build your housefile and consequently make your paper rep more money in the future. Your printer will discount services so that you can mail deeper, making Paper Tuesday a success. Your printer will pay for television ads that tell your 62 year old target customer that Paper Tuesday is coming. All of this activity will strengthen your housefile, allowing your printer to make more money next year. Heck, your printer will recommend a small-format, eight page Paper Tuesday mailer designed to drive sales on Paper Tuesday, and they will make it reasonable for you to mail this small piece. Your PAPER TUESDAY discounts will be better than your CYBER MONDAY discounts - and you will tell your customers this fact as well - so that your customers shop with you on Paper Tuesday and will give you their dollars before they hand over money to e-commerce and big-box retail brands three weeks later. Your email campaigns will communicate Paper Tuesday - and will tell the customer that this is an industry-wide event. You will help your partner catalog companies ... and your catalog company partners will help you. If you love discounts, and I know you love discounts, then discount items that Amazon does not sell. Feature those items on Paper Tuesday. Heavily promote items that the customer cannot buy on Amazon or on a big box e-commerce website. Sell the stuff that gives you a competitive advantage. If you're going to do everything the same on July 28 in an uncoordinated manner, why not act like one industry, for one day, on November 10 (the second Tuesday of November) - and make PAPER TUESDAY the biggest day of the catalog shopping year? Every major catalog vendor reads this blog. Most major catalog industry consultants read this blog. Most major catalog brands have employees who read this blog. Many classic catalogers - names you all know and trust - read this blog. In other words, everybody in the industry is going to see this message. So why not go do something about it? Why not work with your industry partners, and formally cross promote something that benefits all of us?